The Dublin Horse Show remains one of the biggest dates in the national and international equestrian calendars’ situated only 10 minutes from the heart of the capital city Dublin. This glorious and rich equine tradition is packed into a five-day extravaganza of all things horses in the month of August in Ballsbridge. The first show was held in 1864 under the auspices of the Society but organised by the Royal Agricultural Society of Ireland where the show was held on the grounds of the Duke of Leinster’s Dublin Residence, Leinster House at Merrion Square. The show relocated to a Greenfield site in Ballsbridge 1881. Each year as one of Ireland’s largest events, it welcomes tens of thousands of Irish and international visitors to enjoy a great week of equestrianism at the beautiful historic grounds of the Royal Dublin Society (RDS). Enjoy as a spectator or buyer some of the very best of Traditional Irish Horses at Dublin. Meet the breeders and producers and learn about old Irish bloodlines, the history of the TIH and why the Traditional Irish Horse with their 2000 years of history is still a world class leading modern performance horse. Tattersalls International Horse Trials & Country Fair is Ireland’s premier eventing show, combining the Olympic sport of 3-day eventing, an equestrian triathlon of dressage, cross country and showjumping, with all the shopping, good food, bars, entertainment and fun of a country fair! To see and witness the Traditional Irish Eventer at its most athletic there is no better venue. 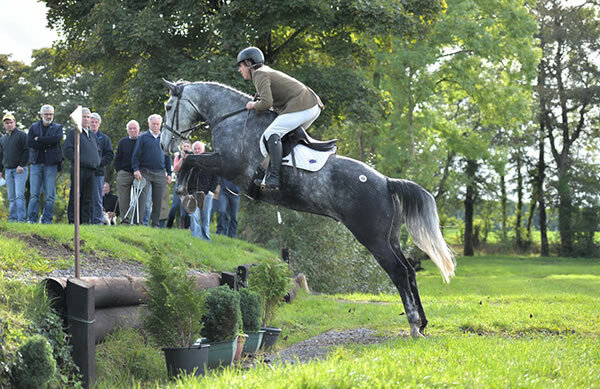 The Traditional Irish Eventer is prized world wide and the TIH for many riders and producers remains the horse of choice. Watch a breathtaking display of athletic Traditional Irish horses at their fittest and bravest along with stamina, courage and heart tackle the big bold fences, their gymnastic work in dressage and their precision in the show jumping arena. Traditional Irish Horses have and will be always at the forefront of this most spectacular and technical sport so don't miss this equestrian event where you see some of the best young Traditional Irish Horses and more established famous equestrian athletics be put to the test.